Please help Horacio get medical and mental health care! 07-05-15 UPDATE!! The Supreme Court ruled that Federal “Career Criminal” Charges are Unconstitutional. These are the charges that Horacio faces. His mom, Barbara says that her lawyer has confirmed that Horacio will be released as a result of this ruling. We will post updates and let you know if this really does happen. Click here to read the Supreme Court Ruling. 05-11-15 UPDATE!! Horacio has successfully been moved from Terre Haute but is being held in a transfer facility where he is not being allowed any phone calls. Barbara, Horacio's mom is terribly worried about his health. 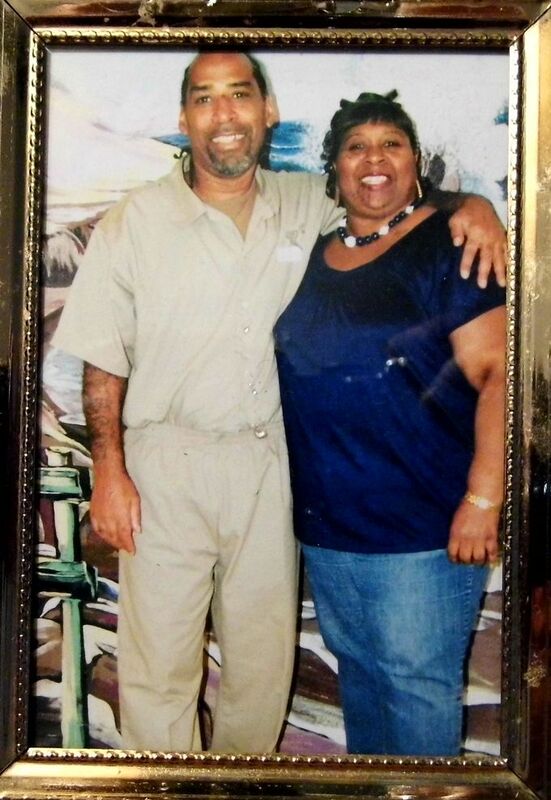 Please call the Oklahoma City Transfer Facility at 405-682-4075 and let them know you are concerned about the health of a prisoner named Horacio Hill ##22276045. Also ask when he will be able to call his mom and when he will be moved to MCFP Springfield, the medical facility in Missouri. If you receive any relevant information, please email it to us at idabwellsinkc at gmail. Thank you! Barbara Hill's son Horacio Hill is in prison. He was sentenced to 15 years in 2010. When he was sentenced in 2010 he was labeled as an "armed career criminal" even though he only had one other charge in the preceding 22 years (since 1988). Being an "armed career criminal" is a federal crime which means Horacio can be warehoused anywhere in the country. He is currently located in Terre Haute, Indiana. Horacio needs to be in a medical facility due to seizures and cognitive issues. The medical paperwork that Horacio's mom brought to us state that "A somewhat conflicting psychiatric evaluation from the University of Kansas, completed on May 24, 2011, diagnosed Hill with amnesic disorder, cognitive disorder (mild to moderate mental retardation) and traumatic brain injury, all mainly due to his seizures resulting in traumatic brain injury. John H Wisner, M.D., reports that Hill suffers for a number of overlapping mental disorders and defects. Wisner concluded the report with his opinion that Hill has a substantially reduced capacity to have formed criminal intent regarding the instant offense." Horacio also suffers from hearing loss. Prior to being imprisoned, Horacio was on disability for several years but was unable to keep up with all the paperwork and appointments required so he lost his disability income. Where he is currently located, he is handcuffed (in an abusive manner so that he now has nerve damage in his wrists), sprayed with mace, and put in the hole when he has seizures. The last time this happened on approximately March 10th or 11th, a friend of Horatio's in prison contacted someone on the outside and asked them to let Horacio's mom, Barbara Hill, know that he thought they hurt her son when he had a seizure. Horacio is only allowed to call his mom once a month and he had just called her on March 9th or 10th so he was not able to contact her after the incident. Barbara started calling and writing to everyone she could think of to try and get some information about her son. She was terribly worried, especially since her grandson died of pneumonia in a county jail just a few years ago. Normally when a person is in prison, they can authorize friends and family to call in and receive information about their medical condition and Horacio had listed his mom as being allowed access to his files however, prison administrators refused to give her any information, then on April 2nd Leann LaRiva, the warden at the Terre Haute facility replied to one of Barbara's letters and stated, "Please be advised that your son is doing well and has no known medical issues at this time". Barbara is in her is 73 years old and has health issues. She lives in Kansas City and to visit her son, she has to make a weekend trip and pay for a hotel stay. Because of the hardship on her, we are requesting that Horacio be moved to the closest possible medical facility which is in Springfield, Missouri. All medical documentation is available upon request by administrators in the prison system or in support organizations. Please contact idabwellsinkc at gmail for documentation. Original post from 04-15-15 ~ Please help Horacio get medical and mental health care! Please call or write the offices below and ask that federal prisoner Horacio Hill #22276045 be moved from Terre Haute, Indiana to MCFP Springfield, a medical facility in Missouri. Also, please contact any and all international human rights organizations. This entry was posted in General by Ida B. Wells Coalition Against Racism & Police Brutality. Bookmark the permalink.